Nine may have ranked first in Primary channels last night but it couldn’t match Seven’s multichannels, which pushed it over the line for a win. Seven won the news hour again while Home and Away ranked second in its slot. But it resorted to 90 minutes of The Force in order to push Kiss Bang Love to the very late time of 10:15pm (it originally debuted at 8:45pm). It managed a mere 137,000 in that slot. While ACA won for Nine, Masterchef took the lead at 7:30pm and thereafter, NCIS with its best numbers since October 2014. Seven Network won with 29.0% then Nine 25.0%, TEN 23.6%, ABC 15.3% and SBS 6.1%. Seven News was #1 for Seven with 1.22m / 1.17m then House Rules (911,000), Home and Away (862,000), The Chase (737,000 / 460,000) and a marathon run of The Force (402,000). Kiss Bang Love sank even lower, now a dismal 137,000. Nine News (1.07m / 1.01m) was best for Nine then A Current Affair (920,000), 20 to One (688,000), Britain’s Got Talent (628,000 -but a coding error will see it adjusted to 691k / 552k) and Hot Seat (594,000). MasterChef Australia again won its slot with 1.05m for TEN. NCIS was 766,000, The Project drew 664,000 / 488,000, TEN Eyewitness News was 572,000 and NCIS: LA was 483,000 / 254,000. ABC News (809,000), 7:30 (625,000), Catalyst (526,000), Revolution School (415,000) and Antiques Roadshow (341,000) comprised ABC’s night. On SBS it was Great Continental Railway Journeys (314,000), Insight (191,000), SBS World News (186,000) and Dateline (144,000). Ben and Holly’s Little Kingdom ruled all of multichannel land on 292,000. 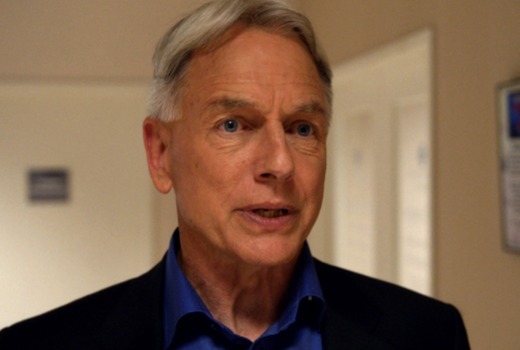 NCIS was a good ep last night, a continuation into next week actually. Mark Harmon & David McCallum are the drawcards, always been an Aussie fav. Isn’t it “the world’s #1 show” too? Ten have delayed the show by several weeks if not.months. Wait til the last show. NCIS will never be the same. 5 eps of KBL. How many more left for this season? NCIS was good last night. The episode had alan dale in it and he was a pretty big part of the episode so I was a bit surprised to discover he was on and I didn’t catch any promos on ten telling viewers that. There are only three episodes left of the season. Could the rise be viewers tuning in to see the last eps of tony? Last nights ep was a the first half of a two parter. I didn’t watch it but reading the synopsis, that 90 minutes The Force was a rerun of the Malcolm Naden special, under The Force banner. Seven are foolish to not be using the final season of Winners and Losers to plug these holes in its schedule. I was also wondering why 7 aren’t airing winners and losers. They haven’t got a 1 hour australian drama in the schedule and I have no idea what they are waiting for. I’m presuming they don’t want to interrupt it with Olympics. Maybe the plan is W&L and 800 Words back to back. Not sure how many eps. I didn’t think about the olympics but I think viewers would get a show off the air for a couple of weeks for the olympics. What they don’t get are shows pulled for numerous silly reasons. I am not sure why, it usually airs earlier in the year and they could easily have aired it before the Olympics. There are only 13 episodes in the final season. So there is not enough room to air 8 eps of 800 words with 13 eps of W&L, so they will probably air W&L at 9:30 once they start 800 words. Or even move it from the Tuesday night is has occupied for its entirety so far!